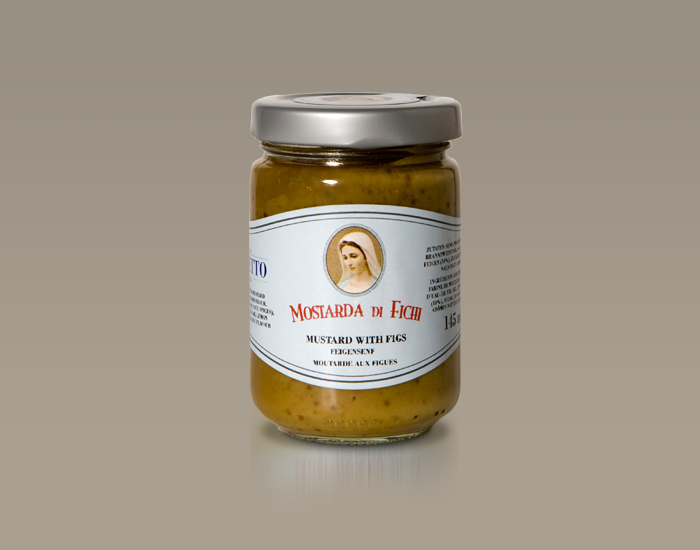 This mustard is perfect for anyone who doesn’t just love the heat of mustard, but is also interested in a hint of fruitiness. 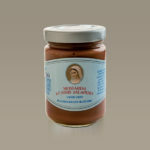 Bavarians love it with veal sausages, but it also tastes delicious with any type of hard cheese. 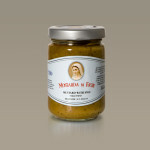 The mustard seed is pickled for 8 – 10 months in Chardonnay until the grains are soft and saturated. 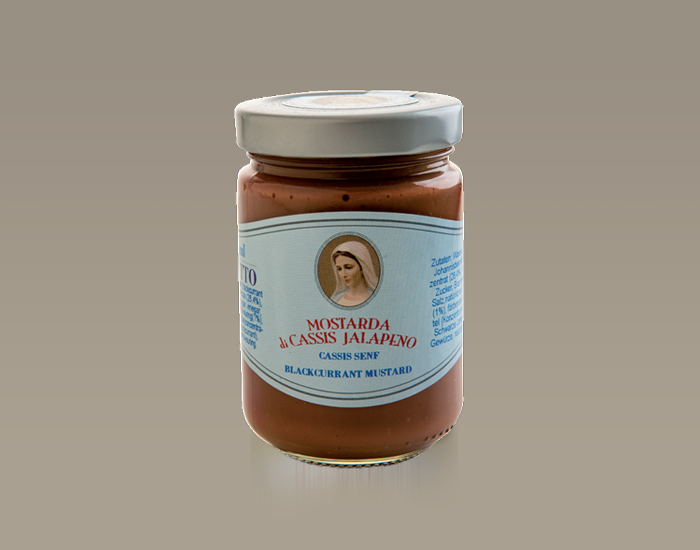 Each spoonful is a true explosion of flavours. 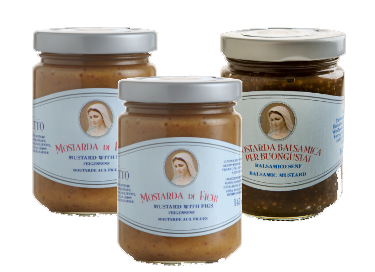 This mustard goes best with grilled beef, as well as cheese. Cassis and jalapeno are truly unique flavours. The sweetness of cassis berries perfectly complements the spiciness of jalapenos. This sauce is actually rather mild. Despite being a little spicy, it is still highly appetizing. 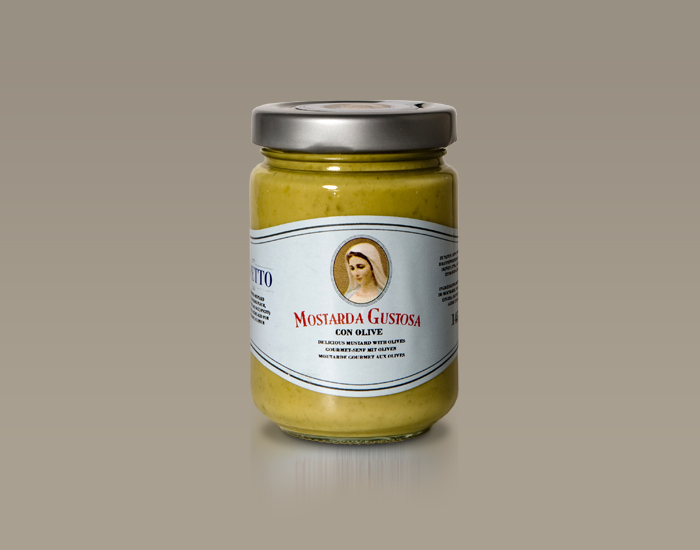 This mustard goes perfectly with grilled chicken.